SStepping up to the edge of the world’s highest bridge bungee jump, your heart hammers in your chest as your eyes widen at the site of the valley way down below. Then, you go for it! You push forward from the bridge, dropping down at what feels like a million miles an hour, into the gorge beneath you. The wind roaring in your ears, your heart pounding even more now than ever, and all your senses are electrified. You are flying free. Then with a tug, you’re swinging back up towards the sky, catching your breath as you get ready to experience it all over again on the next plunge. You’ll never feel more alive than this. It’s like walking a couple of inches taller than everybody else on the planet, and you’re never looking back. This is what adventure tourism in South Africa does to you. It’s these feelings that come with every experience that stick with you forever. The awesome people you meet along the way or who share the thrill with you make these memories even sweeter. 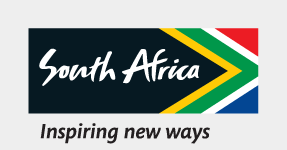 SSouth Africa is frequently rated among the top adventure destinations in the world. IIf you want to tick some items off the bucket list, this is the place to do it. Take on your first shark-cage diving experience, and stare straight into the eyes of a majestic Great White shark. Try adventuring along South Africa’s famous rivers, in white-knuckled rafting experiences, cruising gently in some places before simply roaring past the riverbanks in a frenzy of white-water adrenalin. These are no everyday moments. TThen prepare to have your mind boggled by thousands of migrating sardines, followed closely by hungry dolphins and other fish, during the world-famous Sardine Run. Or get the hiking boots on and head out on the popular and challenging otter, dolphin or Tsitsikama Falls hiking trails, or climb to the top of Table Mountain to see thousands of indigenous plant species and a view of Cape Town that will stay with you forever. Whatever your pleasure, South Africa is an endless outdoor playground that will make you feel alive and free. From skydiving to quad biking, hot air ballooning to windsurfing, treetop zip lining or sailing along the coastline – there’s no shortage of raw adventures and “wow” moments surrounded by some of the world’s most beautiful scenery.